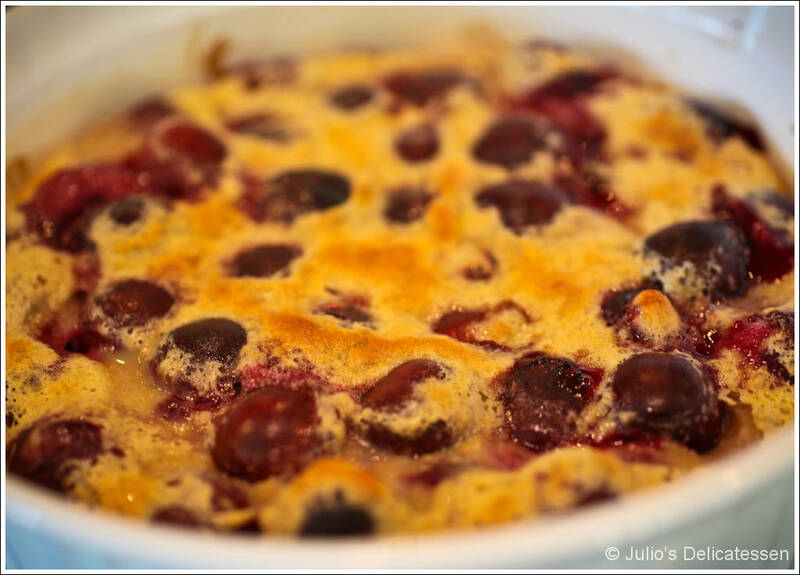 My friend Virginia Fox makes the best clafoutis that I’ve ever had, but since I didn’t have her recipe on-hand, I decided to go with the next best thing. Place milk, 1/3 cup sugar, eggs, vanilla, salt, and flour in a blender. Mix at top speed for one minute. Lightly butter a 7- or 8-cup baking dish or deep pie plate. 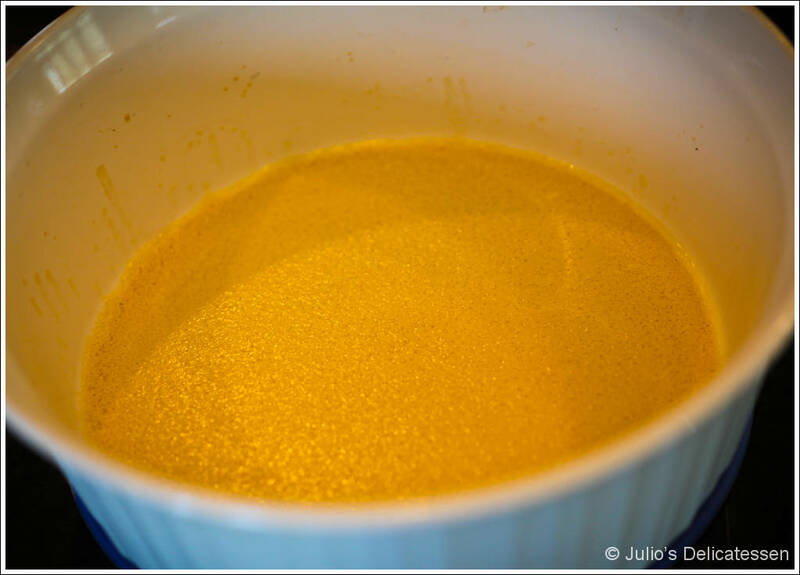 Pour about ¼” of batter in the bottom. Place in the oven until the batter is set – about 5 minutes. 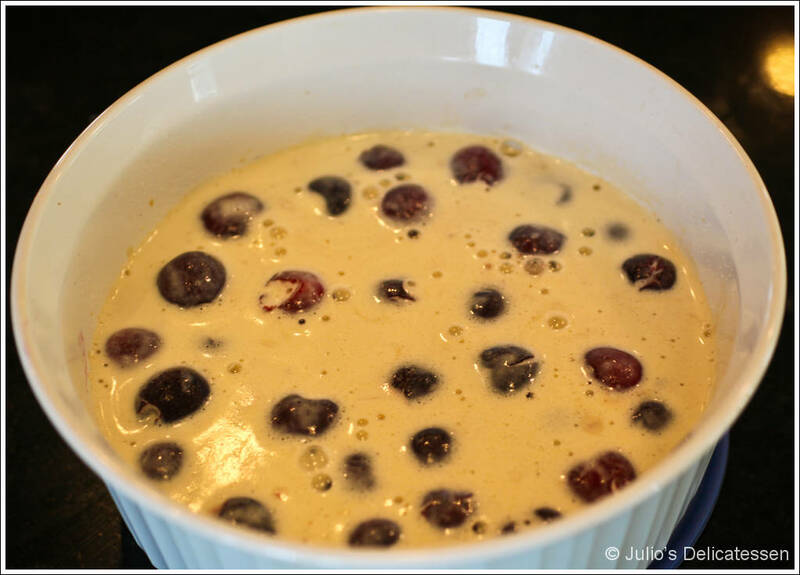 Remove from oven and spread cherries evenly over the batter. 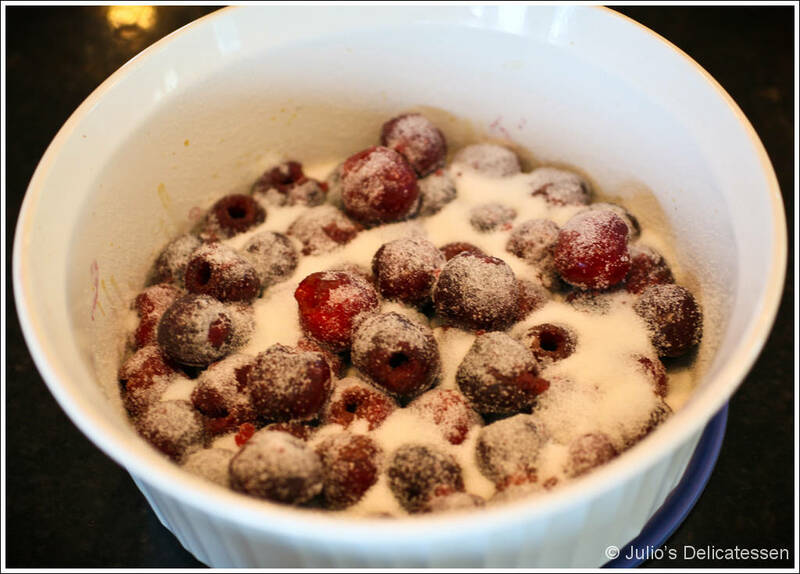 Sprinkle the cherries with the remaining 1/3 cup of sugar. Smooth the surface and return to the oven for 1 hour. Remove from the oven. Allow to cool slightly, sprinkle the top with powdered sugar, and serve warm. Can you write that on your email?? Are there no filters? I just watched Julie & Julia last Sunday and adored it. Makes me want to try some of her French recipes.